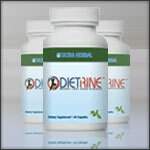 Our Dietrine Carb Blocker contains 100% Genuine Phase 2� Brand Starch Neutralizer produced by Pharmachem Laboratories. Each serving (two caplets) provides 1,000 mg of Phase 2�. Phase 2� is an amazing, non-stimulant, all-natural nutritional ingredient that is derived from the white kidney bean. It is the first nutritional ingredient that has been clinically & scientifically proven to neutralize starch, found in in your favorite foods such as potatoes, breads, pasta. rice, corn and crackers. Phase 2� is a safe yet powerful nutritional ingredient, clinically studied to reduce the absorption of starch calories. During the digestive process, your body converts carbohydrates, found in starchy foods such as potatoes and pasta, into sugar. Your body does this by breaking-down the carbohydrate molecule with alpha amylase, an enzyme that is produced in the pancreas. These sugar calories are either burned off, through exercise, or stored as fat cells for future use. Unfortunately, inactivity means that these stored fat cells accumulate. The result is weight gain. Do not be fooled by cheap products that may contain a generic white kidney bean extract plus some Phase 2. 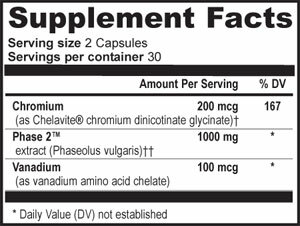 These products do NOT contain 100% of the Phase 2� extract and will not work as well.